Visit the Dr. Belarmino Afonso Ethnographic Museum in Bragança, Portugal. 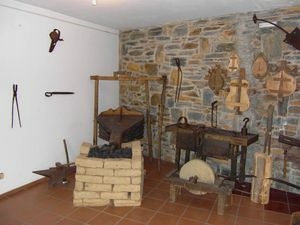 This museum, located in Rua Doutor Herculano da Conceição of Bragança, exhibits ethnographic collections composed of objects collected by Belarmino Afonso or donated by particulars. The museum focuses in the Trás-os-Montes culture. Rua Doutor Herculano da Conceição, Bragança. Monday through Friday from 9:00 to 12:30 and from 14:00 to 17:30.